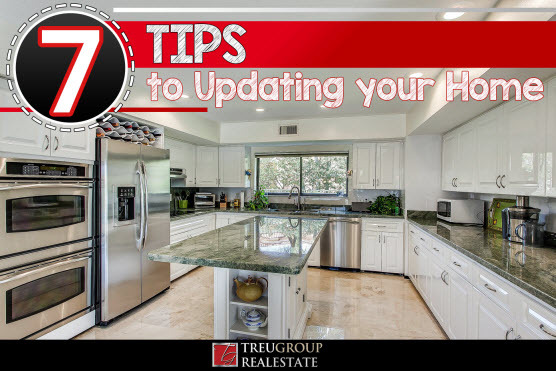 Are you thinking of selling or updating your home? One of the most common questions that we get is what improvements make sense so we wanted to share our experience with you. Here are a few tips that should help. 1. Complete the honey do list. It is always a good idea to have everything done as buyers will often take off a lot more than what the item is worth. Condition is one of the factors that impact value. 2. Make sure your home creates emotion for your buyer. Having it look and smell great will maximize your return on your home. Vanilla scents and flowers are easy touches. 4. Make neutral selections if your thinking of selling. Be careful not to go too trendy or personal colors. Spend time looking at Pinterest and watching HGTV for ideas. 5. Don't put lipstick on a pig. Now that is a southern phrase. If the cabinets are dated, putting granite on doesn't solve the issue. It really makes it worse as the granite will likely have to be removed. 6. Kitchens and baths are big selling areas so spend your money there. You don't have to re-do it completely as often updated lighting, new faucets or a vanity will give the bathroom a new look. In the kitchen, even new knobs and handles can change the feeling of kitchen. 7. If you do work yourself, make sure it doesn't look like a DIY project. To get value of the updates, they need to look professional.